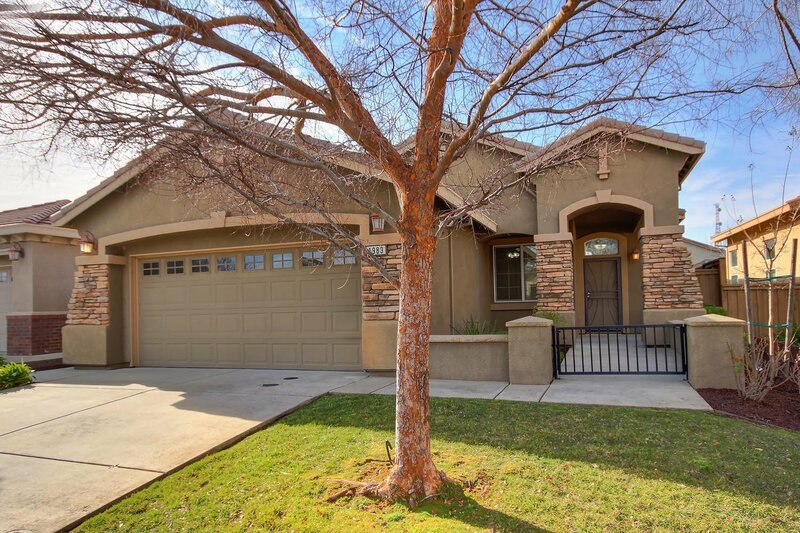 Lovely Empire Ranch home set on quiet street and built by renown builder HC Elliott. This hard to find 4 bedroom plan featuring separate living and family rooms perfect for everyday living. Courtyard entry gate welcomes you into this warm and inviting home full of sun-filled windows and soft colors. The cooking enthusiast will love the modern kitchen with Granite counters, stainless appliances, ample cabinet and counter space and roomy nook area perfect for morning breakfast. The cozy family room has a gas log fireplace and picture windows looking out to the rear yard. The master bedroom has a nice sized walk-in closet and the bath area has dual sinks, sunken tub and shower and a second closet. The kids rooms and secondary bath with dual sinks are to the front of the home. Out back is a private rear yard perfect for summer fun with lawn, trees and patio area. Located less than a mile to Russell Ranch Elementary. EZ freeway access and local shopping is only minutes away. Listing courtesy of Hoffman Realty Group, Inc. Selling Office: Coldwell Banker Residential Brokerage.